Apple Pay – How Will It Affect Business? During the announcement of the iPhone 6 on September 9th 2014, Apple also introduced Apple Pay. Apple Pay is a mobile payment service which allows people with certain Apple devices to make payments at retail and online checkout. Tim Cook, CEO of Apple, claims Apple are in a position to fix the current card payment process. Cook claims that the magnetic stripe card payment process is broken for its reliance plastic cards’ “outdated and vulnerable magnetic interface”, “exposed numbers”, and insecure “security codes”. But what do big businesses think of Apple Pay? They love it! At the time of the US launch in October, there was 220,000 participating vendors. This included big brands such as Macy’s, McDonalds, Subway and Target! Also, after the first 3 days of availability, more than 1 million credit cards were registered on Apple Pay. Therefore, this meant that Apple Pay is the largest mobile payment system on the market, ahead of competitors such as Google Wallet, Paypal and Softcard. It’s expected this year that Apple Pay expands to the rest of the world with it being released in Canada in March with it also being expected to be released in the UK in the next couple of months. Will it be a success in the UK? Apple are currently in talks with UK banks however one bank is uncomfortable with the amount of personal and financial information Apple wants to collect about its customers. Could this be a potential stumbling block for Apple in the UK? However, whilst Apple are hitting stumbling blocks in the UK, they are reaching for the sky… Literally! JetBlue will be the first major domestic US airline to allow passengers to make purchases. This includes purchasing food and beverages, even seat upgrades! Will the other big airlines follow suit in the next year? For a more in-depth view of Apple Pay, watch the video below! Augmented Reality – when traditions and technology entwine. Technology has become a necessity for everyday life. We no longer depend on daily newspapers – we depend on newsfeeds. We no longer depend on weather reports – we depend on navigated devices. We no longer depend on postmen – we depend of delivery receipts. So, what can we expect when we entwine traditions and technology together. a technology that superimposes a computer-generated image on a user’s view of the real world, thus providing a composite view. Augmented reality can be traced back to 1990, when Professor Tom Caudell focused on a project of finding new way to help his company’s engineering process and involve the use or virtual reality. Caudell developed software which displayed the position of certain cabling during construction which made the process much less complex. And now, without even realising, we view augmented reality on a daily basis, with thanks to software and devices such as green screens, gaming consoles and mobile apps. But since the launch of Google Glass, in a bid to be crowned augmented kings, it seems other organisations are determined to join in the battle. A virtual make-over that powers over 150 web and mobile apps, to virtually trial make-up and products to match and suit your style. With nearly 50 million downloads, ModiFace certainly got the cosmetic industry talking! Similar to Google Sky Map, it shows the stars over your head to find constellations and notable stars. Great for stargazers and learning astronomers. This app features has the ability to superimpose various furniture into your own photographs of your own setting to see how the items would look. You can also scan physical copies of the IKEA catalog to search for it in the app. Similar to ModiFace, TryLive, allows users to try on glasses, jewellery, clothes, shoes and even customise their homes too, before making the purchase. Taking “try before you by” to a whole new digital level. By downloading the Starbucks app, consumers were able to point their mobiles at their Starbucks’ cups in order to view festive animations. By using one of Europe’ largest advertising screens Skoda tried to target stressed commuters, inviting them to customise the new Skoda Fabia and showing the results being brought to life on the digital screen. Super Bowl 2015 – What Brand Came Out On Top? Whilst it may not be as popular in the UK as it is on the other side of the pond in the US, the Super Bowl is one of the biggest global events of the year. Over 115 million people watch it and of course, it is a huge opportunity for brands. There were over 28 million tweets last night about the Super Bowl, an increase of just under 4 million from the previous year. For many years, brands would spend millions concentrating all efforts on creating adverts to desperately try and catch the attention of millions across the US. Times have changed, now faster than the Social Media world is rapidly expanding, social media becoming more popular than ever, brands are now putting their efforts into creating viral pieces of content. The simple but genius efforts of Oreo in the 2013 Super Bowl was applauded by thousands. Instead of trying to create a highly sophisticated piece of content, Oreo simply jumped onto an event that was happening during the game itself. The tweet went viral, receiving over 15,000 retweets. The question is, did anybody match Oreo last night? We’ll go through the best and the worst! One of the most talked about adverts was Nationwide (Not affiliated with the UK bank). Nationwide’s advert had a very dark tone, as the advert itself featured a young boy who dies as a result of an unspecified household accident. Due to the tragic nature, many Twitter users were quite shocked and outraged. Here is one of the most retweeted responses to the advert! In contrast, the Budweiser “Lost Dog Advert” warmed the hearts of millions. Why you ask? Simple, puppies. The advert was a sequel to the most popular advert of the 2014 Super Bowl with the vice president of Budweiser claiming “If it ain’t broke, don’t fix it.” He was right! The advert was a huge success, the hashtag “#BestBuds” reached over 2.2 million in a day on Twitter! If you want to view the advert, watch it below! Warning, tissues may be needed. What was your favourite advertisement? Were you not a fan of the Budweiser advert? Do you think Nationwide’s advert was the most powerful in Super Bowl history? Tweet us your thoughts at @UKLinkedIn! On late Sunday night, Fox News created quite an uproar in Birmingham. Why, you ask? Well, here is why. Terrorist ‘expert’ Steve Emerson claimed that, “there are actual cities like Birmingham that are totally Muslim where non-Muslims just simply don’t go in.” The people of Birmingham simultaneously put their head in their hands. It was a comment which outraged many including the Prime Minister, David Cameron who described Emerson as a “complete idiot”. However, after the initial anger and outrage, many Twitter users united. United against stupidity. It is fair to say that Steve’s comments went viral. 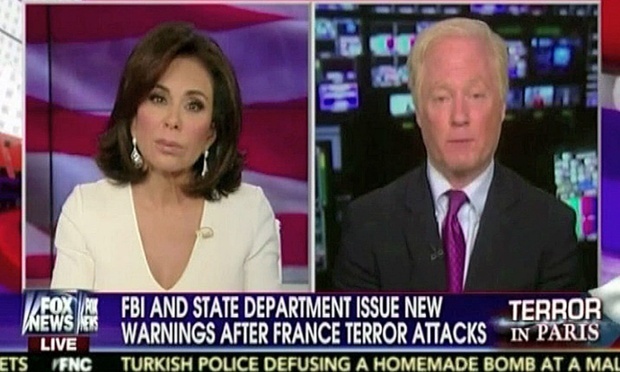 This was followed up by a hashtag #FoxNewsFacts. #FoxNewsFacts was a hashtag that many Twitter’s users used to respond to Emerson’s claims in the form of sarcastic, tongue-in-cheek tweets. Here are our favourite’s, starting off with the Bullring. Followed up by an image of a local sports rivalry. And last but not least, a cartoon which depicts newly named places in Birmingham. Steve Emerson will no doubt be regretting the comments he has made and he has very generously donated £500 to Birmingham’s Children Hospital. However, this incident goes to show that making ill-informed comments live on worldwide television, in this digital world, can cost you dearly. How Aldi were the most successful supermarket on Black Friday! Aldi combined their business and a live event to create one of the most popular tweets of 2014 and has helped their brand awareness significantly. This was a clear potshot at their rivals and it worked superbly, as the tweet gained over 1,600 retweets and over 1,000 favourites. It also impressed their followers as many of them commended for their “first class marketing” and that they love their social media! Will Tesco and ASDA take inspiration from Aldi? It is clear that Aldi came out on top after Black Friday in a brand sense. Aldi were highly praised for their social media performance in contrast to the images coming out of ASDA & Tesco stores across the country which you could describe simply as chaotic. It is safe to say that your brand will not appear as family friendly as it used to be as a result of the general public fighting for cut price televisions on your premises. Whilst ASDA & Tesco may of went from red to black, the real winner of Black Friday was Aldi! Have you heard about #SocialLuton? Our social media training sessions has been held in cities such as Birmingham, Leeds, London, Milton Keynes and Barcelona. Yesterday we embrace Luton’s finest businesses as they enjoyed our first business growth social media training session in the city with great success. During the session, we used the hashtag #SocialLuton for a live demonstration on the effect of a simple #hashtag. The impact was remarkable as #SocialLuton received over 300,000 impressions within hours! Do you want to see the best tweets? Yesterday was a really important day for the European Space Agency and for humanity. After 10 years traveling trough space, Philae managed to land on the comet 67P. A long race that has also produce an authentic revolution on social media. What Are Big Brands Doing This Halloween On Twitter? As Halloween approaches, brands will be scrambling for ideas on how to celebrate the event. Some brands have decided to promote their hashtag whilst others have went for different methods such as video content. Which brand will come out on top? Will Oreo steal the show again or will there be something new? Oreo are well renowned on social media for their ability to react to events and create content as a result of it, the “you can dunk in the dark” tweet was one of the most popular tweets of 2013. This Halloween, Oreo have went for a different approach in the form of video content. Oreo is asking their followers for suggestions for the names of the Oreo monster. This is a excellent way to get their followers to engage with the account and there has been many responses in the past hour! Snickers have went for a rather basic approach to the event with a simple Happy Halloween tweet with an image attached. However, in contrast to the Oreo tweet, Snickers content has no call to action, so it is hard for their followers to engage with the tweet. All in all, it has been an average attempt by Snickers, a lot more could of been done. Fanta have realised the importance of Halloween and in the last week they have promoted their Hashtag #HelpKen. The #HelpKen campaign is a very innovatve idea from Fanta, the idea is to get people to post pictures of their Zombie faces to their Twitter account. As a result of this, they will be entered into a competition where they can possibly win theme park tickets, cinema tickets and even iPhone 6’s! Fanta have invested a lot of time and money into this campaign and it is paying off! Carlsberg have went for a rather humourous approach, sticking an afro on top of their cans with the text “Hallo… is it ween you’re looking for?” making reference to the classic Lionel Richie ballad. A very simple tweet, just like Snickers’ effort however, due to the humour this is one of the best brand tweets this Halloween. Samsung have used Vine for their Halloween tweet and it is a very creative idea, albeit a bit unsavory to watch after you’ve just eaten! The vine itself is depicting a pumpkin being sick after having too many sweets. The tweet itself has got over 200 retweets and many users have complimented Samsung for their creativity, and we do too! Well done Samsung! Which is your favourite? Is there any brand we are missing? Let us know in the comments below!